Little B’s Chocolate Cupcakes | Keeps Me Out Of Mischief! Little B loves to cook. 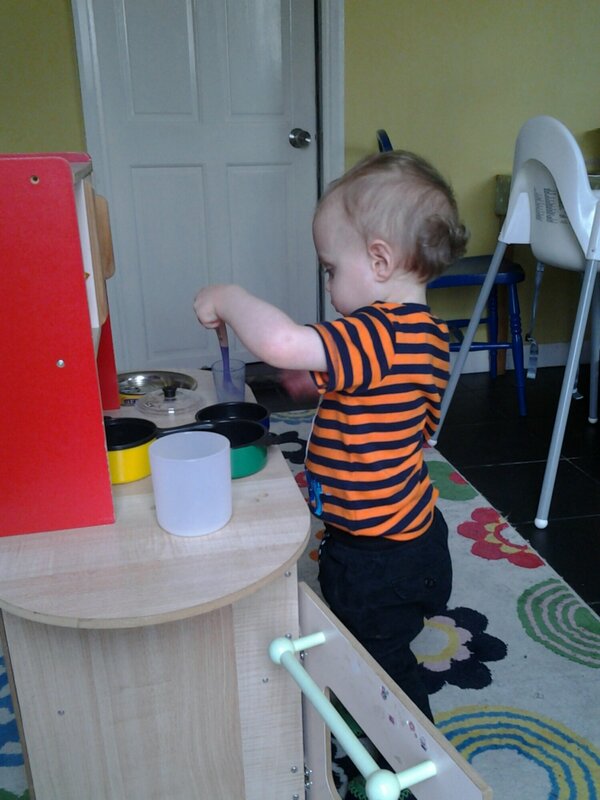 He’s so happy just pottering around in his kitchen – best £15 I ever spent! Whenever I’m in the kitchen, I’ve always got a little shadow who copies my every move! On the days where he’s constantly whinging to have a look at each and every saucepan on the stove this can sometimes get a little bit wearing but today it was lovely. It was actually Little B’s idea to do some cooking; he started ferreting around in the baking cupboard, pulling out a very strange selection of ingredients, and finally found the big yellow mixing bowl which he held out and simply said ‘cake’. Ok my lovely, we’ll make cakes. You will need: 175g butter, 175g caster sugar, 3 medium eggs, 150g self raising flour, 25g cocoa powder, 1/2 teaspoon baking powder and 60ml of yogurt. 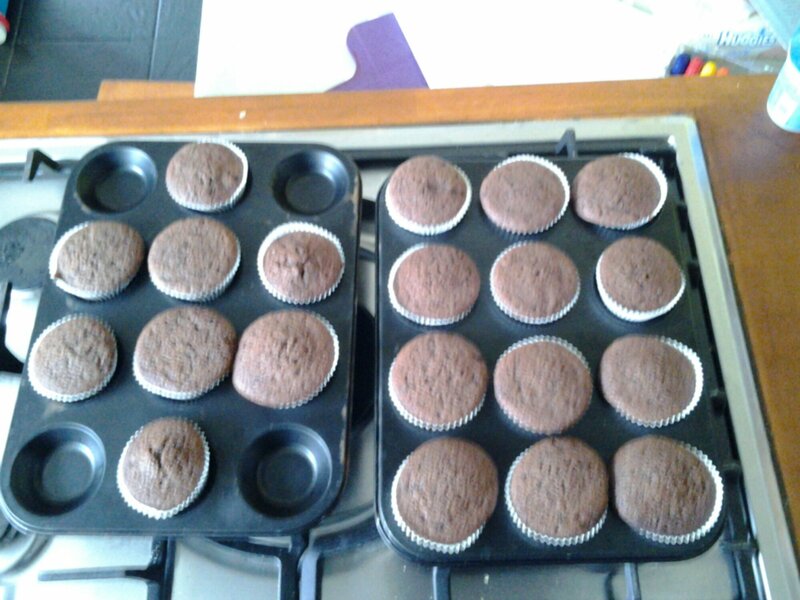 Preheat the oven to 180 C and line a cupcake tray with 20 paper cases (what I would call kids cases- the little ones). Cream together the butter and sugar in a large bowl and add the eggs one at a time. Add the flour and cocoa powder and attempt to keep it in the bowl as you mix (little people don’t seem to understand the need to keep it in the bowl and would rather your kitchen looked like a snowstorm had hit it!). Stir in the baking powder and yoghurt. You should have a batter that looks like whipped double cream. Place the mixture into the prepared paper cases and cook for 18-20 minutes or until the tips spring back up when prodded. Now explain the need for them to cool before eating to a rather grumpy 22 month old – good luck!